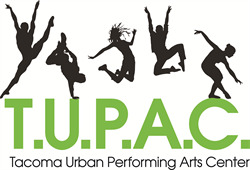 Welcome to Tacoma Urban Performing Arts Center (TUPAC)! Please complete the following registration form. YDP students will address all staff by their Sir names (example: Miss Smith, Mr. Jones - Mrs., Miss, Mr.) and in a respectful manner. At no time are students to address staff by their first names (example: Miss Judy, Mr. Mike). T.U.P.A.C. does not provide supervision of students outside of the dance class. Students arriving early for class or who are waiting to be picked up are expected to conduct themselves appropriately. Respecting others is expected from every member of T.U.P.A.C.